Silhouette Printable Sticker Paper 8.5"X11" 8/Pkg - SILHOUETTE OF AMERICA-Printable Sticker Paper. Create your very own custom labels and stickers with your Silhouette and home printer. It's easy! 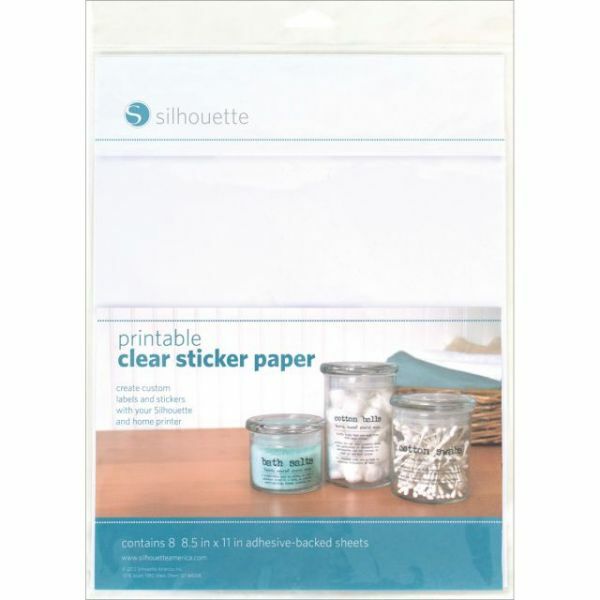 Print text and designs on clear sticker paper and use a Silhouette electronic cutting tool to cut them out. 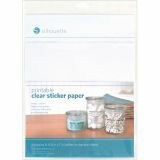 This package contains eight 8-1/2x11 inch adhesive backed sheets. Imported.